This must be one of the best purposeful designs from all of Sinn’s history. The 103 has been around in one variation or another for decades. However, these earlier Valjoux pieces are very attractive for their design and investment potential. 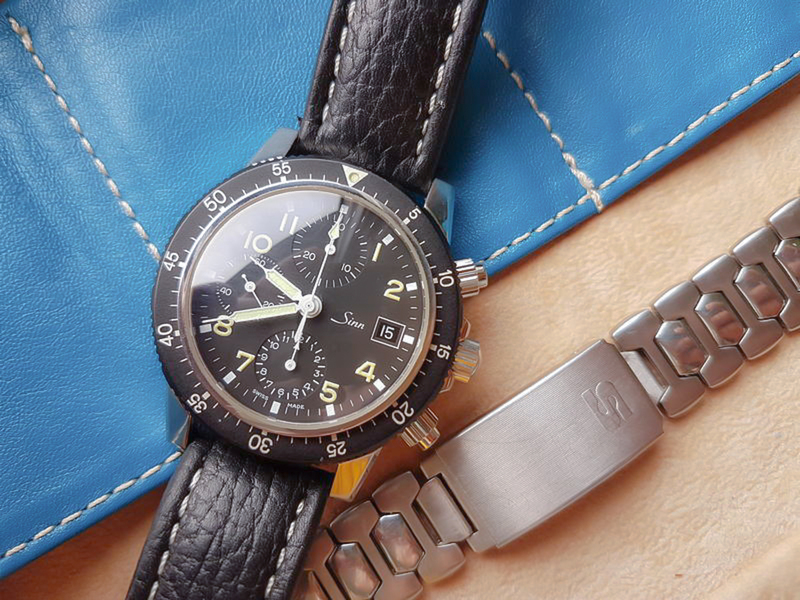 The clean aesthetic, aged dial, early Sinn logo design, and display back all sum to one attractive piece. They’re not terribly rare yet, but it’s beginning to become difficult to find original, unmolested examples. That is precisely what was posted today, complete with a reasonable asking price. Find this 103 here for 1650 EUR.